FREE Star Wars Workshop At Toys 'R' Us! You are here: Home / FREEbies / FREE Star Wars Workshop At Toys ‘R’ Us! FREE Star Wars Workshop At Toys ‘R’ Us! Attend the FREE Star Wars Workshop At Toys ‘R’ Us on Saturday, May 7, from noon to 2 p.m.! 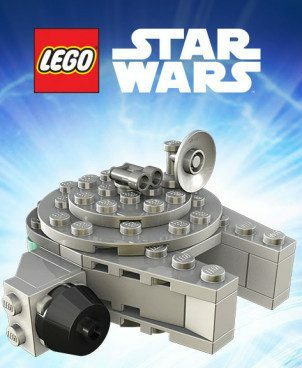 Kids can build a FREE Mini LEGO Star Wars Millennium Falcon! Plus, get a FREE LEGO booklet that includes Star Wars stories and fun facts! Take part in the Clue Hunt to win a special poster!